One of the most challenging climbs in the area leads to breathtaking views of Chattanooga and the Tennessee River Gorge from Raccoon Mountain. 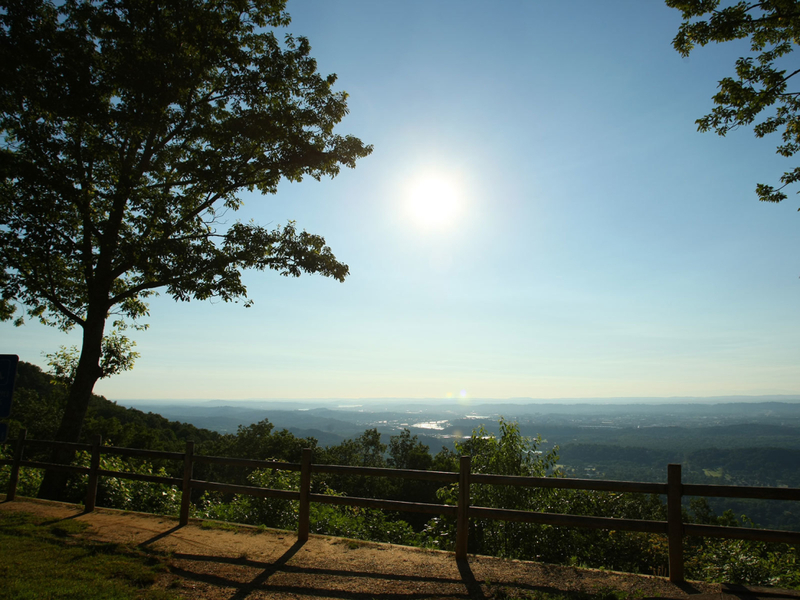 10/15/2015 NOTE:Raccoon Mountain will be closed for routine reservoir maintenance, which includes access to the boat ramp, biking and hiking trails. Closed: Oct. 17 - Nov. 21T-WALL/PRENTICE COOPER will be closed to recreation the following dates for hunting.Sep. 19-25Oct. 8-10 Oct. 29-31Nov. 6-8Nov. 28 - Dec. 3ROCKTOWN will be closed to recreation the following dates for hunting.Oct. 18-19Nov. 13-15Dec. 10-13If you have no experience climbing steep gradients, Raccoon Mountain will put your legs to the test! However, if you're ready for a challenge and want to experience the spectacular Tennessee River Gorge via road bike, this is the ride for you. 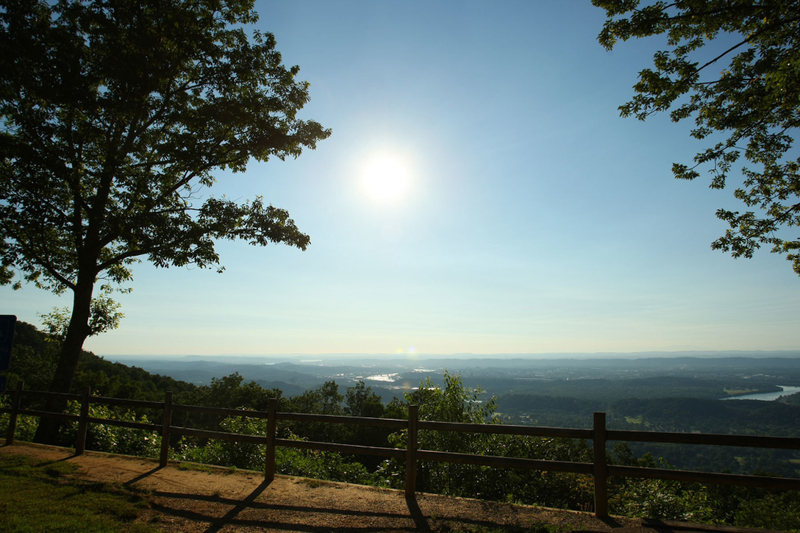 Famous for its mountain biking and trail running, Raccoon Mountain is a challenging destination for road cyclists as well. Raccoon receives relatively low traffic which means that - once you actually get there - the roads are among the best in the city for cycling. From downtown, you'll travel Broad Street and Cummings Highway, both designated bike routes (although much of Cummings lacks a shoulder). The 3.3 mile climb up Raccoon averages 8% grade with sections as steep as 18%. Once on top, a loop around the reservoir is great for recovery, with spectacular views. Gliding across the tremendous rock-fill dam, with the lake below on one side and the river gorge on the other, is almost akin to flying. Following a speedy descent, you'll have a peaceful journey along the Tennessee River and a panoramic view of the Tennessee Wall, a sandstone cliff band known for world-class rock climbing. On the way back, it's usually best to ride straight through town on Broad Street, but you could just as easily re-trace the entry route on Riverside drive if there is traffic. You don't have to be an absolute animal to enjoy this ride - be you do have to be able to climb one steep mountain. A great place to park is at 2 North Shore near Rock/Creek. The best time to go is around 6 p.m. in the summer or very early morning to avoid rush hour traffic on Broad Street.